Most of us know that too much sugar is bad for us, but we may be unfamiliar with the havoc excess blood glucose can wreak on our systems. 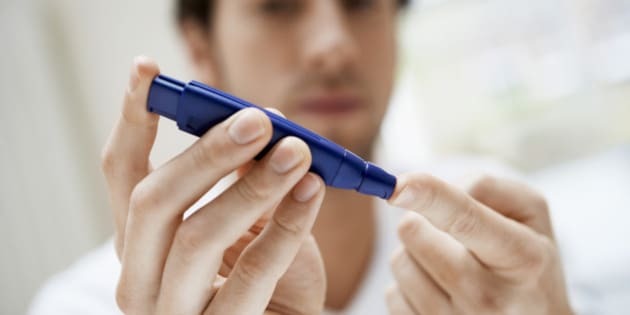 Diabetes mellitus, or just diabetes, is a disease that occurs when the body stops producing or can't properly use insulin, a hormone produced by the pancreas that helps your body use its blood sugar for fuel, according to Diabetes.ca. This leads to high levels of blood sugar, which can cause fatigue, weight loss and even nerve damage. There are two common types of diabetes: Type 1 and Type 2. Type 1 is usually diagnosed in childhood or adolescence and occurs when the body stops producing insulin completely or produces very little of it. There is no cure and the cause is unknown. Type 2 diabetes occurs when the pancreas stops producing enough insulin or the body can't use it properly. Risk factors include being overweight, family history, inactivity and age. Almost 2 million Canadians reported being diabetic in 2013. However, many more may be unaware they have the disease, because many of the symptoms are easy to miss. Some are specific to Type 1 or Type 2 diabetes, while others tend to occur with both. Check out 10 warning signs in the slideshow below.